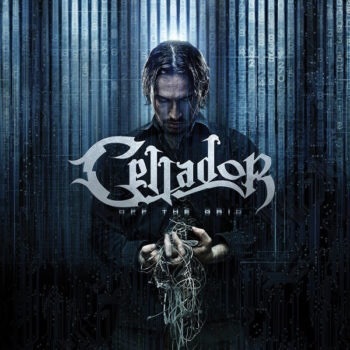 Cellador is a band that has been tucked away in the back catalog of diehard power metal fans for close to a decade. There was a time in the American Midwest where watered down metalcore bands ruled the metal scene and finding an American power metal band was basically impossible. Yet, those of us who paid our dues and kept searching were rewarded with Cellador’s 2006 release Enter Deception. I was lucky enough to see Cellador a number of times following the release of their first album and had gladly added “Leaving All Behind”, “Never Again” and “No Chances Lost” to my list of classic power songs, then they were gone. They had just left before fans had a chance to even say goodbye. In 2011 Cellador sneakily put out a follow up EP but finally and most importantly they have returned in full force with Off the Grid. There are some genres in metal that are essentially as they should be. Power metal is one of these. Power metal should be precise, driving, melodic, catchy, virtuosic and commanding and Off the Grid hits all these marks. The album opens with “Sole Survivors” which sets the tone for the album a Theater of Salvation style of Edguy riffing and then wastes no time getting into the melodic and hook oriented vocals. Now, one of the main differences between the Cellador of 2017 and that of 2006 is the vocalist. Founding member Chris Petersen has taken over vocal duties and coming from someone who very much enjoyed the vocal style of their past vocalist, Michael Gremio, I can say this is a game-changing improvement. Petersen’s vocal delivery is clean and controlled allowing the songs and melodies to speak for themselves. The album continues to highlight new strengths song by song. “Wake Up the Tyrant” is a perfect example of the bands heightened strengths with heavier riffing and energetic drumming driving the song into what sounds like a classic Nocturnal Rites verse and a gloriously catchy chorus that rivals that of Dragonland. Now, not all power metal bands can shift into the Dragonforce gear in terms of speed but Cellador makes sure we know they are capable of almost going too fast with “Swallow Your Pride”. This song also exemplifies the virtuosity in not only the guitars, which was to be expected, but also the keyboards. Prominent keyboards are an element that not only set this version of Cellador apart from the 2006 version but also bring the European power metal stylings to another level. If you’ve made it this far in this review and are thinking “I don’t know about all this, I like my metal mean and nasty and sometimes power metal is just too cheesy” then you probably should go ahead and go see what spooky looking album Season of Mist is about to put out because Cellador rounds the album out with back to back to back wonderfully done cheesy power metal. This is best represented by a cover of Cyndi Lauper’s “Good Enough” from The Goonies. This track also answers the age old question, “If you metalize Cyndi Lauper do you get Power Quest?” with a clear and definitive yes. The albums picks up the pace again with “This Means War” which is has a chorus slightly reminiscent of of Sonata Arctica’s “8th Commandment” and then gallops into “Running Riot” which is as catchy as any power metal song I can recall, which is a lot. Cellador have moved up the ranks hugely in the power metal scene with Off the Grid. The album consistently conjures up thoughts of many classic power metal bands but at the same time clearly begins to define the band as a distinct sound in the current power metal scene.